No matter whether it's a buildup of dirt and grime on your armchairs, or a red wine stain on your sofa... talk to us now, to enjoy the perfect solution! We have a team of experienced staff on hand to come to your rescue, with our professional upholstery cleaning in Richmond 3121. Our upholstery cleaners in Richmond come extensive trained, and ready to deliver outstanding cleaning results... our services are built upon many years of training and experience, as well as taking advantage of some of the finest and most effective cleaning technologies on the market! Our upholstery cleaning in Richmond offers a number of benefits over our competitors... here are just a few of the advantages you'll be able to enjoy when you book with us! 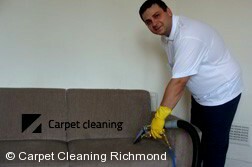 Book Richmond Upholstery Cleaners Now! Call us now - on 03 8672 2775. Our phone lines are up and running 24/7, and we have a friendly team of staff on hand to deal with your enquiries. 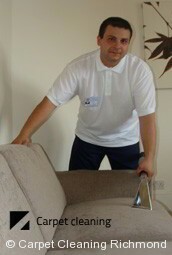 You'll be able to make a booking, or even get a free estimate on our professional upholstery cleaning in Richmond. On the other hand, for an immediate response you can even request a quote using our online form... and get an instant estimate for cleaning upholstery in Richmond 3121!